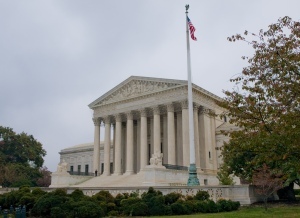 WASHINGTON — The U.S. Supreme Court upheld the Michigan law, which was approved by Michigan voters, that banned the use of affirmative action in university admissions process. Reuters expressed their disappointment in the decision and said the decision “further undermined the use of racial preferences in higher education.” The vote was 6-2 in favor of Michigan voters and Hispanic female Justice Sonia Sotomayor wrote the lone dissent. She alleged, in her dissent, that the law dealt a blow to “historically marginalized groups, which rely on the federal courts to protect their constitutional rights.” The lone black American justice on the court, Clarence Thomas, voted in favor of the Michigan law. The law was ruled as unconstitutional by the 6th U.S. Circuit Court of Appeals in Cincinnati, Ohio in 2012, which led to the appeal to the U.S. Supreme Court. The primary reason behind the decision was that the majority of justices felt that the law should be upheld and was not discriminatory. It was also approved by Michigan voters in 2006 and similar votes have taken place across the U.S. Michigan voters, for the most part, may have voted for the law to be enacted to ensure equal treatment of all Americans, not just minorities.